I’m one of those women with the magical purse that has just about anything you need hiding within. If you just give me a minute or two to dig around, I can probably come up with a snack of some kind, a hairbrush, a deck of cards, a cell phone charger, and some post it notes. But being a Dog Mom means adding a whole other set of necessities to my handbag. As much as I want to be prepared for anything I might need, I absolutely must be prepared for all of Sadie’s needs. 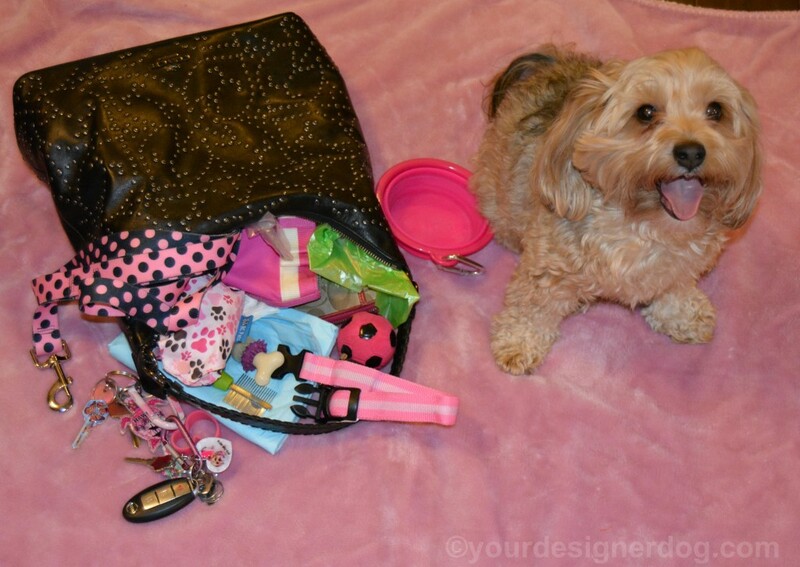 Here is a list of the typical items found in the purse of this loving Dog Mom. 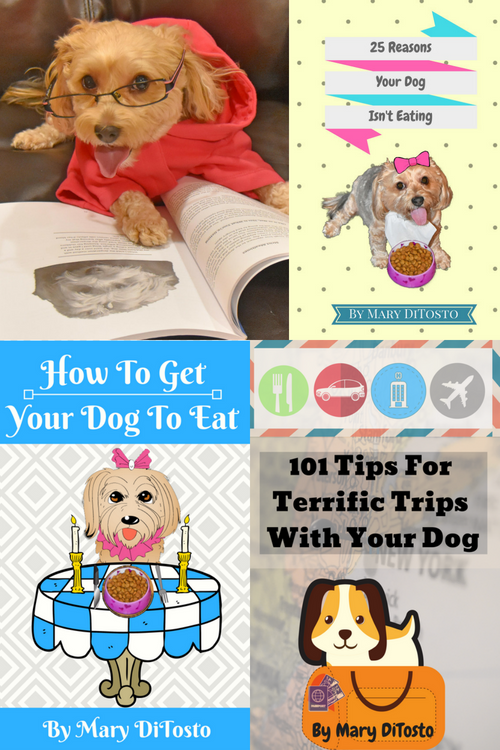 It may seem like I have every dog product ever made inside my purse, but there are actually quite a few potentially useful items I’ve left out. I personally have decided not to carry the following items, but you may want them on hand in your purse for your dog. Some of the items may also be useful to take with you depending on where you and your dog are headed for the day. I regularly add and subtract items from my purse depending on Sadie’s and my destination. Water bottle – a very important item in some climates and at certain times of year, but it’s usually too heavy for me to carry unless Sadie and I plan to go on a long walk. I usually have a bottle waiting in the car for us to rehydrate. You may want to consider those water pouches as a lighter alternative if you want water on you at all times. What a great post. Found your blog at Create With Joy hop. 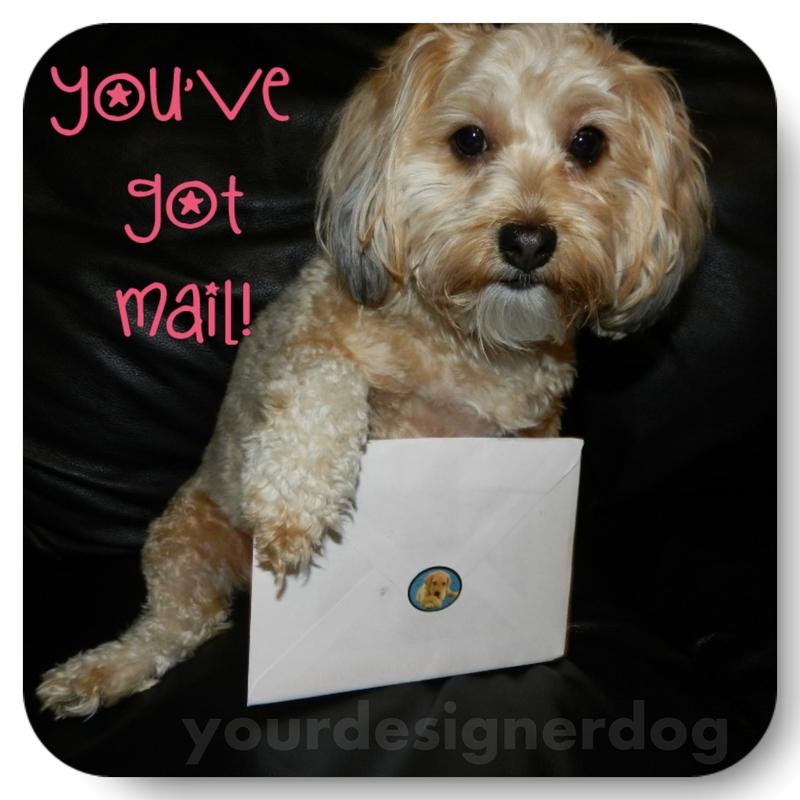 Hope you will stop by my blog at: https://viewsbykelly.blogspot.com/ . Thanks for hosting your hop, just linked up here as well. Have a great day. Whenever we go on hikes, I am the one carrying the backpack or huge bag since I have my camera with me to capture every move of Babu (our little four legged one) along with his water bowl and treats. Good job on reminding us the essentials we need to carry with our dog. That is a mighty impressive Mary Poppins bag for sure! I don’t usually carry a purse but my car is basically my office/ purse. I always keep water, a spare leash, treats, and a towel. I have big dogs and spend time with horses so you may not be surprised at how many times these items have come in handy. We’re going to need to speak to our mom. She does NOT have the purse of a cat mom! I need to up my purse game to keep up with you! You are a great dog mommy! 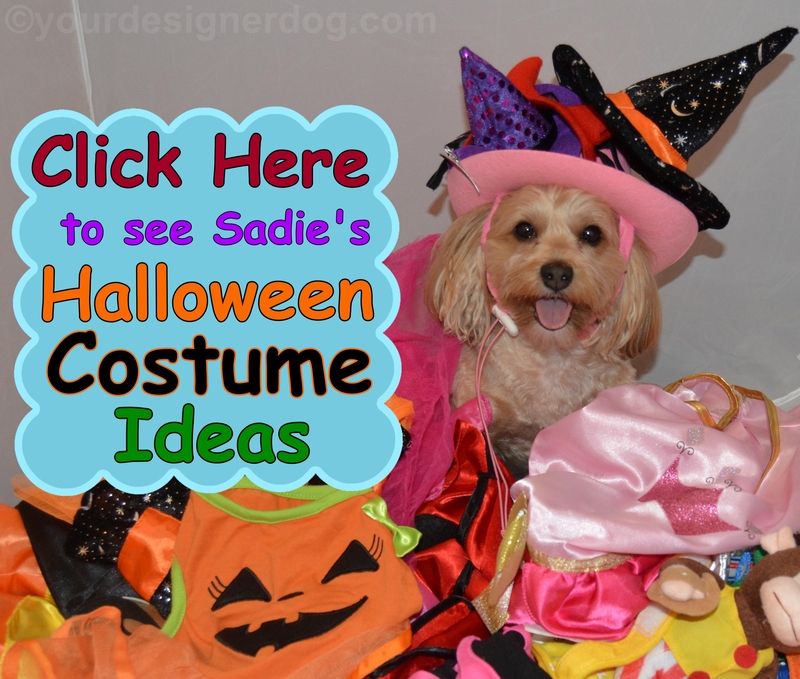 Who’s the raincoat for—you or Sadie? TW always carried both wet cat food and kibble in case she spies a stray cat. There’s also a deli cat who follows her if she doesn’t give him a handful of kibble. She’s got tons of “her” stuff in her bag, including vaseline, inhaler, water bottle, tissues, sale circulars, bus schedules, you name it. Cathy Keisha recently posted…Are We Getting a Woofie? I think the blanket and the water bottle would be too much for ANY purse! LOL. Great preparation. But I did think of one you forgot – a mini flashlight, so you can find the poop in the dark! That’s one full purse! Such a great idea to bring your veterinarian’s information and an LED collar for night time. Being prepared for anything is so important! It is really hard for drivers to see people and their dogs walking around if it gets dark outside. I usually just carry treats and bags with me. In the summer, I have a water bottle. If we’re going anywhere for longer, there’s more dog stuff packed in the car. Too funny! I just add diapers and a sippy cup for my two legged kids, and you’re spot on! I have bags like this in every single vehicle, and dog swag stashed in every diaper bag! My stroller has poo bags hooked to it, and leashes for back up in the mesh net on the back! You can never be too prepared…my hubby thinks I’m nuts lol! Haha! Every bag and pocket I have has a doggy bag, if not a whole roll. Then a few have treats, then my clickers, then the collapsible water bowl…I basically need a huge tote or back pack. I used to carry everything in my purse until I had 2 shoulder surgeries. Now, I’m down to a minimum size with essential items. If I traveled with my girls, I would need to carry key items they may need. Wow, you two are prepared for anything! I use a separate bag for my dogs. The most important item I carry for them is a water bowl, I don’t like using communal bowls out in public just in case a dog is ill or is becoming ill and the parents don’t know it yet. The second most important thing is treats, particularly chew bones to keep them occupied and content if we go to a cafe, which we do quite often. 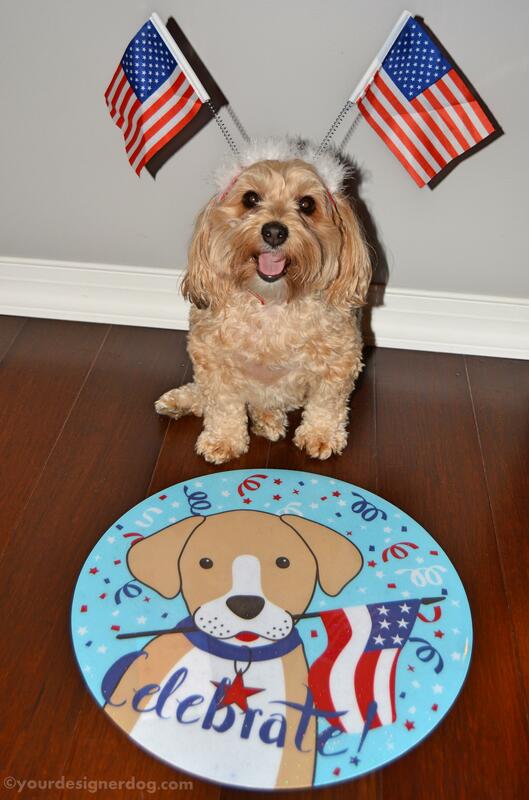 Adorable photos of Sadie! Great post and I don’t know why, but we’ve never thought about carrying around our clicker with us! 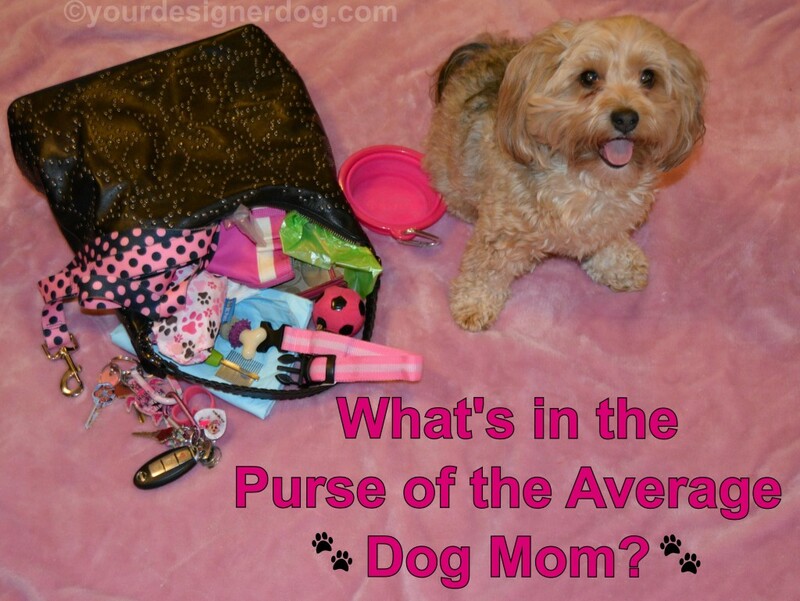 Only using it during training times – but now that I see it in your dog mom purse, it makes total sense! Every outing could be a training time! !